Have you ever been experienced? In Finland they probably have, because this where DARK BUDDHA RISING have been fostered and where their psychedelic doom/drone metal has emerged from. Since 2007, the band has released three full-length albums (Ritual IX, Entheomorphosis, Abyssolute Transfinite), and now it is time for their fourth – Dakhmandal – via Svart Records. The album is made up by 6 songs, each entitled by a single letter, of which no song is shorter than 11 minutes, leading to 1 hour and almost 21 minutes. The difficult thing about the genres that are associated to drone/doom metal is that it is fairly easy for the musicians to get stuck in repetitions or mirror images of other songs, either of what other bands already have done or of what you as a band already have created. However. 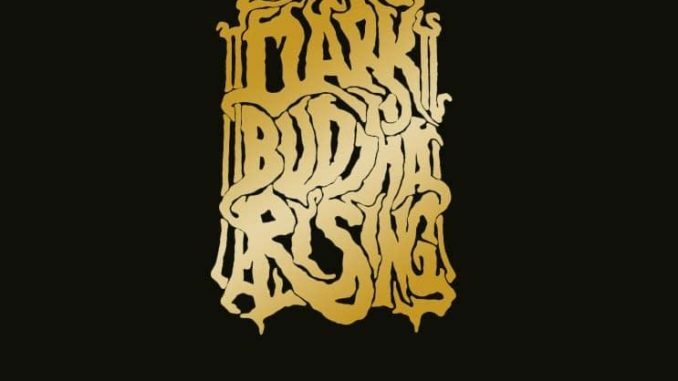 DARK BUDDHA RISING is not falling into those pitfalls but instead create a holistic yet diverse album with a lot of experimental pathways and unexpected changes. The sound is a flirt with the best from the 70s analog era with slitting speaker cones combined with a dense modern omnipotent heaviness that together creates something very interesting. Dakhmandal begins with the ungraspable D, a loungy and dark song, and its mellow tunes swirls like heavy sedating smoke plumes over your senses. The next song in line will however hit you hard so falling asleep is not recommended: K is a strong and physically heavy contrast to its soothing predecessor and you may find some similarities to ELECTRIC WIZARD, BONGRIPPER, and also early BEDEMON/PENTAGRAM. The second half of the song is a metamorphosis into a bad high set to music, with hoarse CADAVER INC mimicking Donald Duck-vocals inciting to psychosis. Very strange but definitely not bad. H is an imposing song that starts off as an impressively heavy, funeralesque piece with each chord strike feeling like a tsunami hitting you, while M has a much softer groove to it but is a little bit too repetitive. The first vocals in N reminds a lot of SOLSTAFIR (although that is where the similarities end) followed by something alike Mongolian throat singing, and there is an unexpected chaotic mindfuck showing up halfway into the song. Beware. The final song L somewhat contradicts itself by being very experimental and chaotic yet also being single-chord-monotone and repetitive. Production-wise there are no beauty marks to complain over. The thick sound is in good balance and there is room for all instruments and further additions. As a whole, Dakhmandal is indeed an album that you can listen to again and again just to discover new attributes every time and notice how it grows on you. DARK BUDDHA RISING will test your senses, and the music is capable of eliciting both pleasant and unpleasant feelings.